A native of Morristown, Tennessee, Dr. Hall received his undergraduate degree from the University of Tennessee, Knoxville majoring in Biochemistry. He received his medical degree from the University of Tennessee, Memphis. Dr. Hall completed his internship and residency at the University of Tennessee Medical Center. 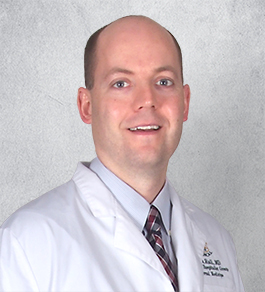 Dr. Hall is board certified in Internal Medicine and joined Summit Medical Group in 2003 as a hospitalist. Dr. Hall resides in White Pine, Tennessee with his wife and two children.